MediaConch is an extensible, open source software project consisting of an implementation checker, policy checker, reporter, and fixer that targets preservation-level audiovisual files (specifically Matroska, Linear Pulse Code Modulation (LPCM) and FF Video Codec 1 (FFV1)) for use in memory institutions, providing detailed and batch-level conformance checking via an adaptable and flexible application program interface accessible by the command line, a graphical user interface, or a web-based shell. 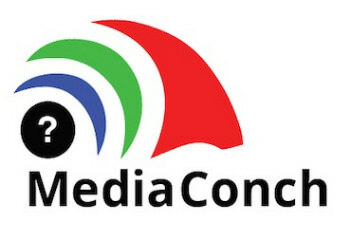 MediaConch is currently being developed by the MediaArea team, notable for the creation of open source media checker software, MediaInfo. Furthermore, the MediaArea team is dedicated to the further development of the standardization of the Matroska and FFV1 formats to ensure their longevity as a recommended digital preservation file format. Files from various sources can be checked with MediaConch, regardless of the chosen interface. A preservationist may check local files, online files, or local folders. “Check local file” allows you to select a file or files from a local computer. “Check online file” allows you to select a file using a URL path. Please note that this feature supports the following application protocols: HTTP/HTTPS/FTP/FTPS. “Check local folder” allows you to select a folder of files from a local computer or volume. For any of these selections, a preservationist may choose from either an existing policy and display in MediaConch or from an imported XSL policy file. In addition to checking files for complex or simple validation, MediaConch also can check files against policies created by memory institutions identifying exactly what specifications a file should require (for example, does this file conform to NTSC or PAL standards?). Please see the next section on policies to learn more. In MediaConch, users can develop their own policies specific to the needs of their memory institutions. Policies can also be shared between memory institutions, as they can be easily exported and imported between instances or frameworks. CLI, GUI, or WebUI all support the same policy structure. In the “Policies” section of the GUI or WebUI software, a preservationist can create customized policy tests to check for conformance to a specific set of standards that your collection must adhere to. You can also import previously generated policy sets in XSL format. Video files are broken down into different “streams”, which a preservationist can select depending on the section of the video they are looking to create a policy for. These streams include General, Video, Audio, Image, Text, Menu, or Other. For example: if you are testing the dimensions in pixels, you’d want to choose “Video” because the Video stream represents all visual components of the overall video structure, including amount or size of pixels. since Video/Audio/General is the most common. It may seem that the Image stream is an appropriate place to analyze the visual aspects of a video stream, but Image refers to still images attached to the video file only, such as an appended thumbnail. Image/Text/Menu/Other are most likely going to be used in edge cases only. Policy sets consist of individual rules and assertions. A policy may contain one or more rules, and rules may consist of one or more asserts. Rules and assertions typically contain a metadata field (e.g., “Format”), that field’s associated metadata stream type (e.g., “General), a validator (e.g., “is_equal), and a desired value (e.g., “Matroska”). In brief, a preservationist would select a type, a field, a validator, and a value. Rules and assertions are automatically saved during creation, but you may duplicate or delete it using the associated buttons on each rule/assertion window. MediaConch can produce four reports: Implementation, Policy, MediaInfo, and MediaTrace. In addition to level of reports, reports can also be displayed or downloaded in the following formats: HTML, Text, Text with Unicode support, and XML. In the command line interface, reports can also be viewed using the “Simple” or “CSV” flags. The simple flag will create a display with “pass” or “fail” for each report segment. The CSV flag, intended specifically for use with policies, will generate a table of results in CSV format. In the GUI and WebUI, reports can be downloaded by either clicking on the down arrow (↓) found directly to the right of each report, or by clicking on the “Download” button located at the bottom right of each report in View Mode. All formats can be exported and stored as sidecar metadata, PREMIS object, or however a preservationist may choose to store their preservation materials.